Four months after Mirova was officially launched as a “responsible investing” subsidiary of French Natixis AM, at the start of 2014, Deontofi.com met its CEO Philippe Zaouati in Paris, 9 April 2014. His views on SRI don’t follow the crowd. Mirova’s approach to “responsible investing” is taking a sharper stance than many competitors on controversial issues, promoting renewable energies against fossil fuel, or the idea of finance as “responsible” : “more transparent, more closely bound to the ‘real’ economy, more concerned with the general interest and its environmental or social impact”, according to Zaouati’s words. 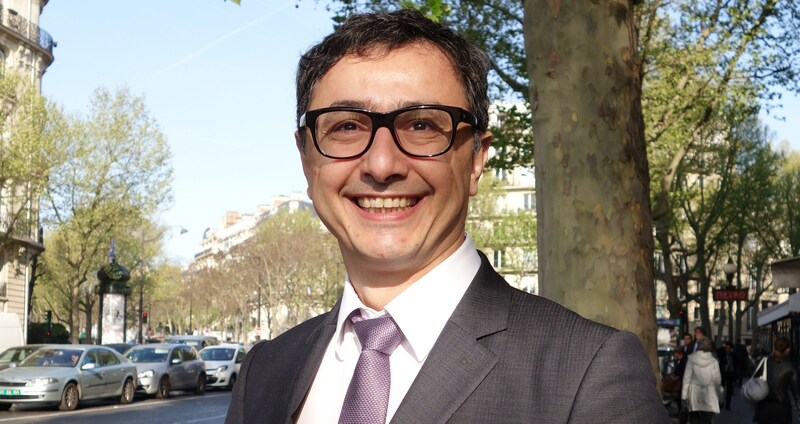 “My vision of SRI asset management is somewhat negative”, said Philippe Zaouati, Mirova CEO, last week in Paris, as he feared good intentions without sharp positions would lead to “green washing”. “If responsible investment managers take the world as it is, and refuse to make exclusions, they end-up following most equity benchmarks and owning the same components”, he added. “We want to make real industrial and sector choices, says Philippe Zaouati. We rate companies with absolute “sustainable”criterias, rather than relatives.” To this regard he considers Principles for Responsible Investment (PRI) too loose. The PRI initiative, supported by the UN, has gathered 1200 signatories and claims to cover $34 000bn, but its six “principles” are very general regarding concrete environmental, social, and corporate governance (ESG) issues. Avoiding most financial services and oil companies which account for 30% of the world equity index, how does Mirova finds sustainable investments in renewable energies ? Mirova invests in such projects at the early stage through Euro Fideme 2, a €100m infrastructure fund investing in renewable energies, wind and sun power production in France and Sweden. Mirova seeds these projects before power facilities are built. Taking the construction risk boosts returns. “We always invest with an industrial partner involved in building and operating the project, explains Philippe Zaouati. Our projects have a yield of 9 to 11% when we we get in, then we sell our shares to long term direct investors, insurance companies or pension funds.” A previous fund of this type, called Fideme, was liquidated with a 9% compound yield, claims Philippe Zaouati. Mirova is in the process of launching a third infrastructure fund Euro Fideme III, for which it hopes to raise €200m. A first closing is planned by June.